Keep accountability at an all time high with location tracking in our web and mobile applications! 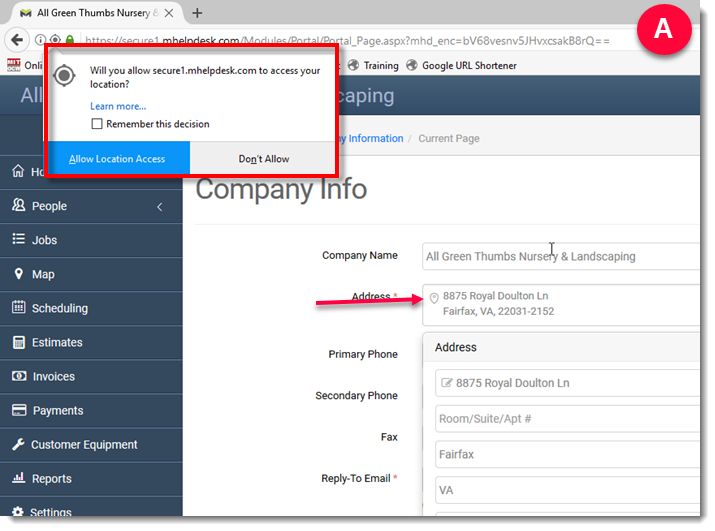 To enable location tracking on the web application, click into any address field in your mHelpDesk account. 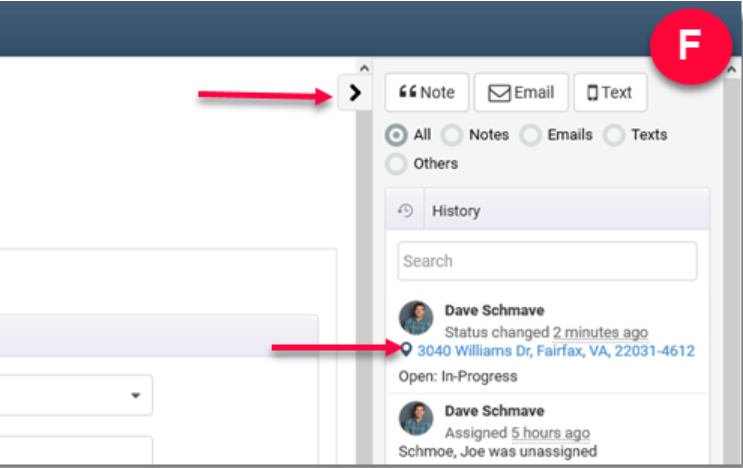 Address fields can be found in a customer profile, in your company settings, and your staff profile. When you click into the address field, your browser will ask if you would like to enable location tracking (Screenshot A). Click on Allow. This will activate our predictive address technology and allow some of your changes in mHelpDesk to be stamped with your location. To enable location tracking in the mobile application, the device being used MUST have its "Location Services" turned on. For IOS devices, go to Settings > Privacy > Location Services and turn on location services at the top. Android devices may be different from phone to phone but is usually located under the phones settings as well. If you have any issues turning on Location tracking for your Android device please use the chat option in the bottom right corner for help. This will display all of the location changes that your device has recorded on a map view. You can also find these location changes tracked on the Map in the web application. Check out this article about our Map feature in mHelpDesk for more details. To see the location stamps specific to a job, open a job ticket in the mHelpDesk web application. Click on the tab in the top right corner of the job ticket (Screenshot F). In the History section on the right side of the screen, you will see a location stamp on each entry (Screenshot F).